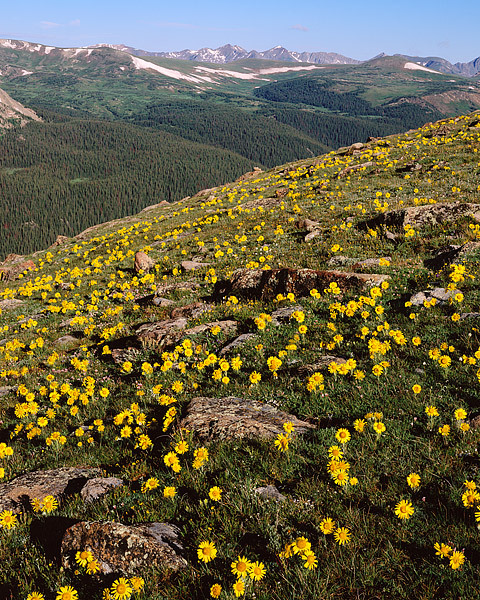 Prolific Alpine Sunflowers line the slopes along Trail Ridge Road looking west towards the Never Summer Mountains. These Alpine wildflowers also know as 'Old Man of the Mountain' prolificly bloom in 5 year cycles. Photo © copyright by Thomas Mangan.